Auberge Resorts Collection, owner and operator of boutique luxury hotels, resorts, residences and private clubs, announced today that Shirley Dunn Hanks has been named Director of Sales and Marketing for the anticipated VieVage Los Cabos, a beachfront hotel and residential villa resort opening late 2016 as the first property under Auberge’s new VieVage Hotels and Resorts contemporary brand. Dunn Hanks will oversee all marketing, communications and sales activity for the 22-acre resort that includes a 29-room hotel, residences, luxury spa and restaurant nestled within the 1,200-acre Chileno Bay master development. 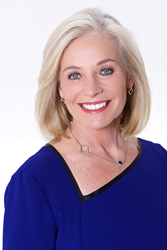 “Shirley brings great leadership and sense of passion to our Los Cabos project,” said Caroline MacDonald, Chief Marketing Officer, Auberge Resorts Collection. “In addition to her connections in the travel industry, Shirley has strong experience in the Mexican luxury sales market, including her work with Capella Pedregal Resort and Auriga Spa in Cabo San Lucas, which makes her well suited to debut VieVage Los Cabos." Dunn Hanks was previously the national leisure sales director for Auberge Resort Collection’s Western region, overseeing sales for the leisure and travel industry segments, with a focus on expanding the company’s reach and exposure in key metropolitan markets including Los Angeles, San Diego, Dallas and Houston. Before joining Auberge, she served as director of sales and marketing for Capella Pedregal Resort and Spa in Cabo San Lucas. Dunn Hanks also opened The Joule Hotel in Dallas, as director of sales and marketing before being promoted to general manager. Additional experience includes 10 years at Rosewood Mansion on Turtle Creek and Rosewood Crescent in Dallas, where she served as both director of marketing and regional director of sales and marketing. Dunn Hanks is an alumna of University of Houston where she studied hospitality management. Auberge Resorts Collection owns and operates a portfolio of exceptional hotels, resorts, residences and private clubs under two distinct brands: Auberge Hotels and Resorts, timeless luxury properties acclaimed for their intimate, understated elegance, and VieVage Hotels and Resorts, a new contemporary brand that brings together contemporary themes of design, community and wellness in a fresh, active and social environment. While Auberge nurtures the individuality of each property, all share a crafted approach to luxury that is expressed through captivating design, exceptional cuisine and spas, and gracious yet unobtrusive service. Properties in the Auberge Resorts Collection include: Auberge du Soleil and Calistoga Ranch, Napa Valley, Calif.; Esperanza, Cabo San Lucas, Mexico; Hotel Jerome, Aspen, Colo.; Malliouhana, Anguilla; Nanuku, Fiji; The Auberge Residences at Element 52, Telluride, Colo.; Hacienda AltaGracia, Pérez Zeledón, Costa Rica; VieVage, Napa Valley; VieVage, Los Cabos; and Auberge Beach Residences and Spa Fort Lauderdale, with several others in development. For more information about Auberge Resorts Collection, please visit http://www.aubergeresorts.com/. Follow Auberge Resorts Collection on Facebook at facebook.com/AubergeResorts and on Twitter at @AubergeResorts.